England reached 243 for two in their second innings to take a commanding lead over India at lunch on the fourth day of the final Test here on Sunday. At the break, England led India by 283 runs with eight wickets remaining at the Oval. 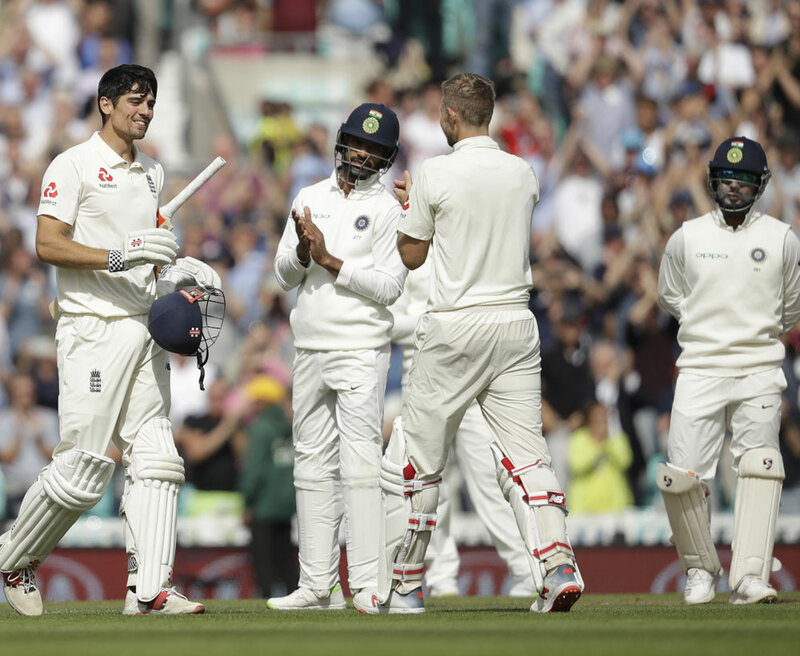 Alastair Cook was batting on 103 in what is his final Test innings, while skipper Joe Root was unbeaten on 92. England: 332 and 243/2 in 73.6 overs (Alastair Cook 103 batting, Joe Root 92 batting; Mohammed Shami 1/50). India 1st innings: 292 all out in 95 overs (Ravindra Jadeja 86 not out, Hanuma Vihari 56).